There may have been a measure of poetic justice at work when Columbus Blue Jackets head coach John Tortorella picked up his 500th career win. The victory came in overtime as his team faced off against the Vancouver Canucks, with the Jackets winning by a final score of 5-4. 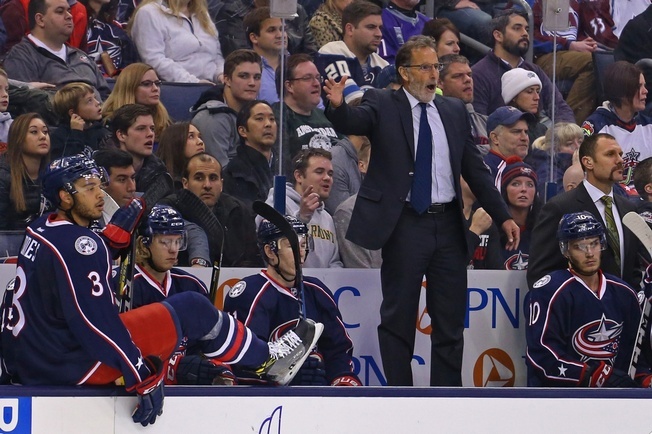 The win made Tortorella the first American-born bench boss to hit 500, which puts his record at 500-413-37-90. But the numbers do count for something and Tortorella has a lot to be proud of in stints with the Blue Jackets, Canucks, New York Rangers, and Tampa Bay Lightning. He won the Stanley Cup with Tampa in 2004 and has been pulling Columbus through an amazing run. The team is 20-5-4 right now, which thanks to the impossibly good Metropolitan Division has them in third place behind the Rangers and Pittsburgh Penguins. The Blue Jackets are even on a nine-game winning streak, plus they have the league’s best offence at 3.34 goals per game. Of course, most people know Tortorella for being an “incendiary” coach. His personality has been the subject of many a pearl-clutching observation, with his sometimes-tumultuous relationship with the press accounting for headlines and soundbites throughout the hockey world. But at the end of the day, Tortorella has always been a coach to take his lumps in stride. When he coached Team USA at the World Cup of Hockey and they failed to deliver a single win, Tortorella took responsibility himself. And now that he’s steering Columbus’ ship, he seems to be relishing the momentum.